Cooking on a wood stove is not a new process for many stove users. Wood stoves have a long history of being used for cooking meals and heating the home and often serve both purposes. Utilizing the heat produced by the stove for more than just its intended use has become a staple in many energy-conscious homes. Homeowners with wood-burning stoves often have a low-cost or a no-cost source of wood and can save additional money by utilizing the heat from their wood stove to cook as well. This wood source can be anything from naturally fallen wood on farm properties to low-cost wood bundles from local farm owners. Wood stoves allow you to utilize natural, and readily available, resources to heat your home and even to cook meals during power outages. Utilizing the heat produced by the stove for more than just its intended use has become a staple in many energy-conscious homes. One of the further perks of learning how to cook on a wood stove is the fact that you will still be able to have freshly cooked meals in the event of a power outage. With so-called superstorms knocking power out around the country on a regular basis year round, the benefit of having a cooking appliance that does not require electricity to utilize is something not to overlook. An additional perk is that with a kettle full of hot water on your stovetop, you will never have a home full of dry air, and you will not need a humidifier. Why Cook on a Wood Stove? Why indeed should you learn how to cook on a wood stove? The answer to that question is simply why shouldn't you. Homesteading experts like Melissa K Norris, of melissaknorris.com, and Theresa Berrie, of www.ourtinyhomestead.com, share tips and tricks to making delicious food with their wood burning stoves on their websites. They also share their tips and tricks to making sure that you do not end up with either a potato-turned-coal or a cold home. Additionally, cooking on your wood stove doubles the effectiveness of your resources, and can help reduce your carbon footprint. Also, many homeowners feel comforted knowing they have regular experience using their off the grid heating source for simultaneous food preparation and heating: a practice which would certainly become useful in the unfortunate case of emergency-related power outages. Cooking on your wood stove doubles the effectiveness of your resources, and can help reduce your carbon footprint. Steaks and Corn cooking on the stovetop. Of course, if you are going to cook on your wood stove, you need to make sure that you have the correct tools for the job. Good cookware is part of having tasty meals, especially when you are cooking on a surface as temperamental as a wood stove. Of course, if you are going to cook on your wood stove, you need to make sure that you have the correct tools for the job. Some stoves, such as this EPA Certified Napoleon 1400 Wood Stove offer accessories to make using them as a cooking surface easier. 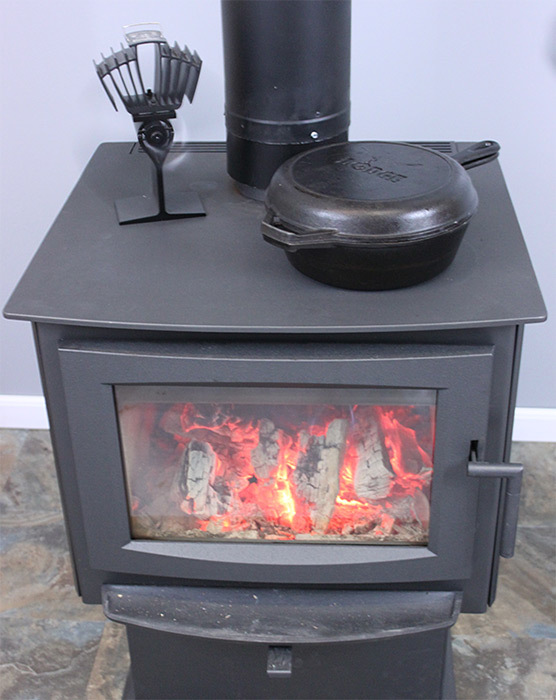 Napoleon's cooktop is the Napoleon Stove Cookmate and is constructed of cast aluminum, allowing for efficient heat transfer between stovetop and cookware. The Cookmate fits conveniently into the trivet inset on the top of the Napoleon stoves it is designed for. Cast iron cookware is one of the best bets for cooking on your wood stove if you do not have a dedicated cooktop and is even still, one of the best bests for cooking on a wood stove with a dedicated cooktop. To be fair, if you want high-quality cookware that will last a long time no matter how you will use it, go for cast iron. A good cast iron skillet, a good cast iron dutch oven, and a couple of other decently sized pots should get you started. However, you can start with just a cast iron skillet, if you want to take little steps. Also, look towards getting a cast iron kettle, like this Vogelzang Cast Iron Tea Kettle and Steamer as you can never have too much hot water. Humidity, yes you can have too much of that, but you can never have too much hot water, and this 3-quart tea kettle is a fantastic choice. If you are low on stovetop space, this Black Cast Aluminum Half Kettle by Copperfield is also a good alternative, even though it is not cast iron. Personally, 3 quarts of hot tea sounds fantastic to me, but I am the sort of soul who can drink a pot of coffee on their own without thinking about it. Additionally, that 3-quart tea kettle will heat enough water to match a 12 cup drip coffee maker, so if you cannot do without coffee, I have a solution for you. Cast iron trivets are also a necessity for wood stove cooking. Trivets let you protect the surface of your wood stove, or to allow a pot to rest just a little above the hot surface. Trivets, when not on the stoves surface, also protect the surfaces of your home when you set hot pots and pans down on them. Minuteman offers their Sunburst Cast Iron Trivet in several colors, including this beautiful Enamel Red color. Grilling baskets are another useful tool for wood stove cooking. These wire baskets with long handles were designed to be used with grills as their initial use, but wood stove owners have learned that they can be adapted for use in wood stove recipes. Grilling baskets are great for use with wood stoves because you can use them to cook within the firebox. There are a few more tools that make this cooking skill a little easier, but they fall best into the tips part of our article here. We have collected some of the most common tips so you can use your wood stove for cooking, as well as come up with a few of our own, during our attempt at cooking on a wood stove here in the office. 1. 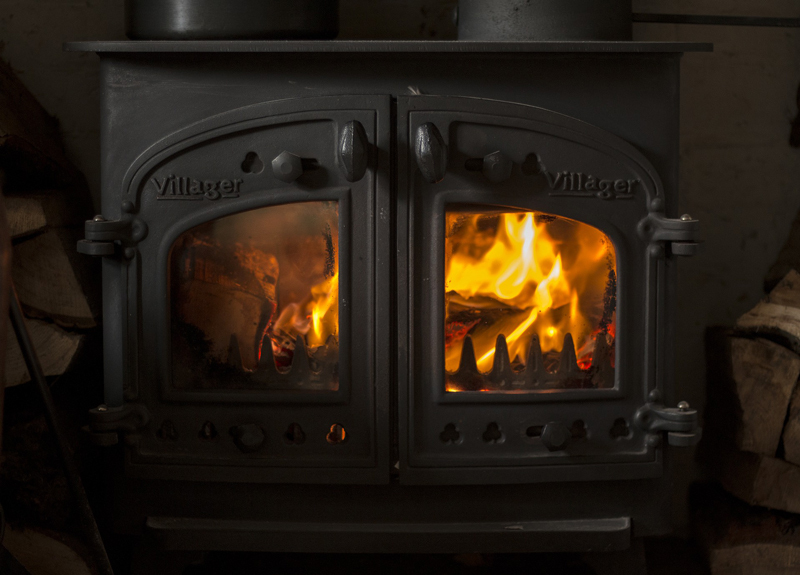 Learn the heat zones on the top of your wood stove. A magnetic stove thermometer is one of the best tools you can have for this, as the contact with the surface of the stove will give the most accurate of measurements. 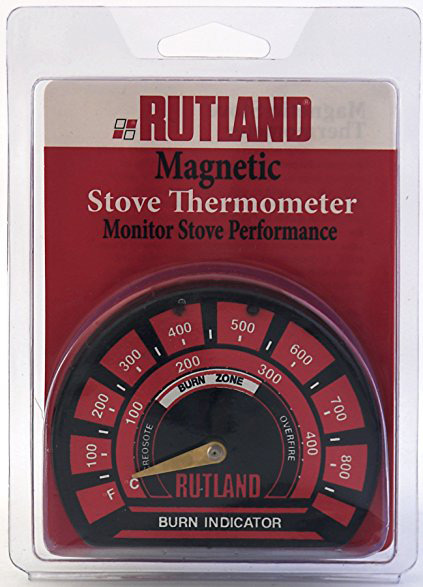 Rutland offers this Magnetic Stove Thermometer, which is easy to read and has marks every 50 degrees. Most wood stoves will have areas where the surface of the stove is warmer than others, especially if you are not using a nifty cooktop attachment on your stove. Also available are non-contact thermometers, which allow you a more precise measurement of your wood stoves surface temperature, instead of making you estimate within 50degree markings. These Infrared Thermometer guns allow you to take the temperature from a slight distance, and to utilize all of the surface space of your stove top for cooking, instead of having to make sure that you can still see the magnetic thermometer wherever you place it. These hand held temperature guns are commonly available from home improvement and HVAC suppliers. 2. Invest in some good oven- or wood stove-friendly gloves. No matter what you do, you are going to be extremely close to hot surfaces while using your wood stove for cooking, and it is always a good idea to have protection for yourself. Invest in a quality set of oven mits or insulated gloves. Either, or both, can be an excellent choice for hand protection. 3. Have a fire already going before you want to start cooking. Your stove's surface is going to take a while to get to temperature, so this is important. Cooking on a wood stove is not something that happens in a rush, it takes time and preparation to accomplish excellent results. Also, do not over fire the stove, it will take quite a while to cool back down to good cooking temperatures. 4. Get into the habit of preheating pans. Your cooking adventure will move a little faster if you preheat your pans, as the food will not have to wait for the pan to warm up to start cooking. Also, lids are your wood stove cooking friends. A tightly fitting lid will trap heat and allow the food to have the heat wrap around it. A tightly fitting lid will also allow you to expand your wood stove cooking recipes to include baked goods, such as casseroles, cookies, cinnamon rolls, and breads, as these items are virtually impossible to cook evenly without holding the heat in. 5. Do your prep while the stove and pots are coming up to temp. Chop up the veggies, get the meat out of the packaging, line up your spice bottles, set out the cooked food plates and trivets, etc. This prep work will save you time while you are cooking on the wood stove, and it will make things run much smoother. Cooking on a wood stove can be lots of fun, as long as you do not have to run back and forth from the stove to your food preparation area because you are doing the prep while you are cooking. Those homesteaders who regularly cook with their wood stoves share the knowledge to avoid using damp, uncured wood. For the same reason damp, uncured wood is awful for heating, it is not going to work well for cooking, as it will not provide a fire hot enough. The optimal amount of moisture content in firewood is 20%. No matter what you're doing with your stove, 20% moisture content for your firewood is the best firewood you can get. To create a slow and low temperature cooking surface, adjust the air control to a mostly closed position and keep the stove's fuel load at less than 50%. To create a hotter cooking process, add more small fuel (being smaller cuts of wood) gradually, and monitor the temperatures closely as they rise to the temperature you need. If your stove top's thickness is 3/16 inch or thinner, you will absolutely need a weight distributing griddle or pan, as the heat of the stove combined with the weight of the pan can lead to sagging over time. 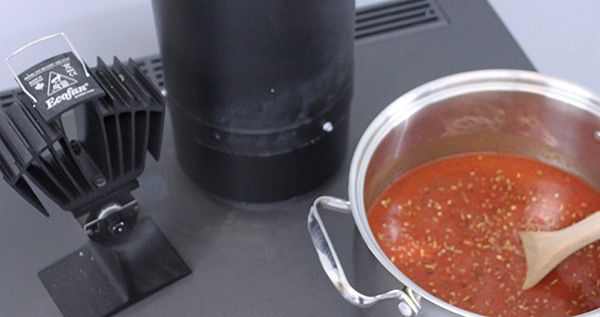 Stoves with a 1/4 inch or thicker top plate can bear the weight of a water filled pot without issue, but surface temperatures should still be monitored closely. Truthfully, any recipe you have can be made on a wood stove; you just have to pay attention to your food. Some recipes are better than others, but essentially all recipes are wood stove compatible. Some recipes are better than others, but essentially all recipes are wood stove compatible. Theresa, over at Our Tiny Homestead, offers a whole page dedicated to baking on a wood stove. The most important takeaway is that you will need to be able to fit your baking pan beneath whatever pan you plan to use as the oven lid. 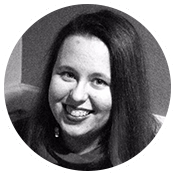 Melissa, of melissaknorris.com, offers a series of recipes that are related specifically to the pan they are cooked in. In this case, the recipes are all related to a Dutch Oven. Further cookware specific recipes are easy skillet recipes. Easy skillet recipes are one-pan recipes that simply require you to watch them, and come in savory varieties as well as sweet ones. We had a day of cooking on the wood burning stove we happened to have here at our office, and a few of the more complicated things we cooked I'll include here. The simpler things we cooked included hamburgers, baked potatoes, boiled corn on the cob, and sauteed veggies. Brown Sugared Pineapple: We did skip one step, because we were cooking in the office. Mix the brown sugar and cinnamon, and then coat the pineapple spears generously in the mixture. Then, place in a covered cast iron pan on the stove top and let cook until the sugar begins to caramelize. Serve while still nice and hot, by dicing up the pineapple spears into chunks. We also made a tomato soup, utilizing a basic store bought plain tomato soup as the base. We added diced tomato, red pepper flakes and a few other spices. Let the soup get warm, and when you start to see a few bubbles breaking the surface, your soup is hot enough to serve. 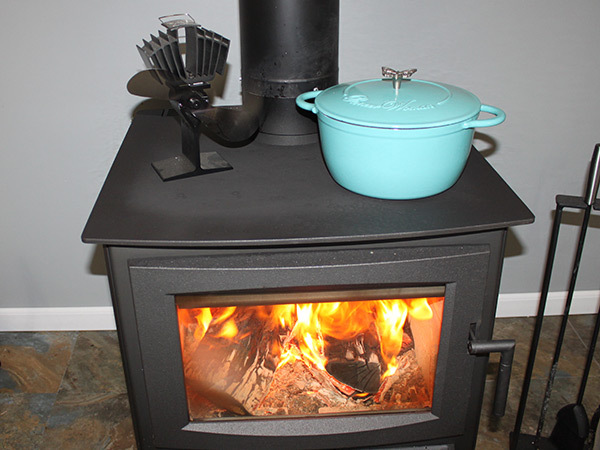 During our experiment of cooking on a wood stove here at eFireplaceStore, (which was lots of fun, I'd like to point out), we learned a few things and tested several of the tips and tools we offered above. We've got a few final tips for you here. 1. Always adjust your cooking times to match the stove's surface temperatures. In most cases, boiled vegetables will be done a few minutes sooner than with a comparable gas or electric stove. Thin hamburger patties or steaks will also cook significantly faster than thicker cuts of meat. 2. 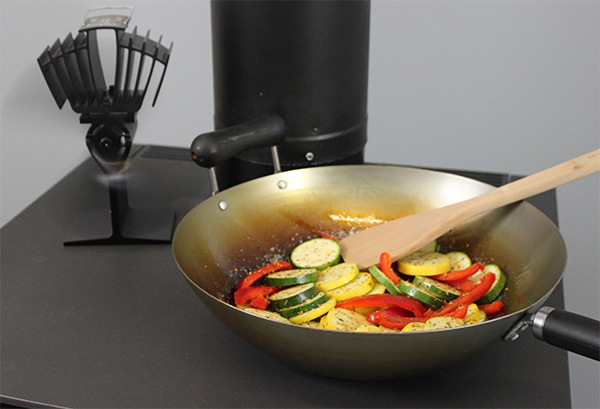 When cooking items such as thinly cut vegetables or diced chicken, it's recommended to use either a large wok or skillet, due to the difficulties in maintaining a low temperature on the surface of a wood stove. A 14 inch pan is a good size, and will give you plenty of room to stir around the items while they cook to prevent them from burning. 3. 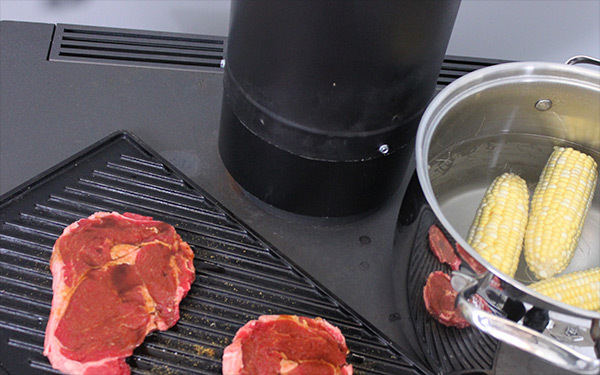 High fat meats being prepared on a griddle or in an iron pan should be covered with a splash screen, to prevent the fat from splattering against the vent pipe or surrounding areas of the stove top. Clean up of a painted vent pipe or stove top is more challenging than cleaning a traditional stove top. BONUS COFFEE TIP: If you ever find yourself without power and in desperate need of coffee, and you have a traditional 12-cup drip coffee maker, you can make coffee on your wood stove. Simply determine how much water the glass carafe of your drip pot can hold, then boil that much water in a pot. While it's heating up, bring your coffee pot a lot closer to your stove, and set it up like you would for a normal pot of coffee, just skip putting the water in. Once your pot of water is at the boiling point, carefully pour water over the coffee grounds in the basket, taking care not to over fill the basket so you don't get grounds in your coffee. It does take a little while, and a whole lot of patience to make coffee this way, but you will get your coffee fix if you desperately need it. And if you're anything like me, you will desperately need it. Cooking on a wood stove isn't difficult. As long as you take care of your stove and use the right cookware, you can accomplish the same wide variety of delicious food as you can with a gas or electric stove. Cooking on a wood stove isn't difficult. Enjoy your wood-burning stove for both heating and delicious food, and know that even if you're without power in the middle of winter, you're going to have a warm hearth and hot food no matter how cold it gets outdoors. And if you haven't decided on whether or not you want to own a wood stove, check out the eFireplaceStore selection of wood stoves and chat with our on staff NFI Certified Technicians to get answers to all of your questions.